How often have you leaned across your desk or paused in an office doorway to ask a colleague a question? Or raised your eyebrows at a team member, during a meeting with a tricky client, in silent, supportive communication? Along with water cooler conversations, these small confidences and day-to-day interactions are the building blocks of great working relationships. But what happens if those you work closest with are spread across oceans, borders, and different time zones? Can you still build the same quality of relationship with a virtual teammate? Not too long ago it would have been almost impossible. Sitting many thousands of miles apart from your colleagues, the constraints of different time zones, traditional communications technology, languages, and cultural norms would have created a tangible block to great relationship building. In previous articles I have talked about the importance of building trust and rapport in teams. Central to this is the ability to absorb body language cues, participate in informal chats, and pay attention to the tone of voice – all of which are tough to convey remotely. So how do you overcome these challenges and build a strong virtual team? Technology can certainly play an important role. With the rapid advancement of social media platforms, web-based video conferencing, and real-time chat capability, technology has transformed the accessibility of disparate global teams and the ability to bring them closer together. Numerous web-based services offer free or low-cost video conferencing; messaging facilities, file sharing, and other resources which can enable even the most dispersed of teams to feel more closely connected. In fact, I often find that many of these resources are already built into the information management system used by my corporate clients. However only a fraction of the capability is generally used. So why not explore what may already be at your fingertips and make it work for you! As with many aspects of business, you’ve got to get the basics right. In the busy world of work, basic courtesy often gets left behind and that’s no less true of virtual teams as it is with those who sit together in an office. I often find there can be a tendency for global team members to fire off emails to each other as their day ends, leaving colleagues on other continents to arrive in the office to a full inbox of demands. 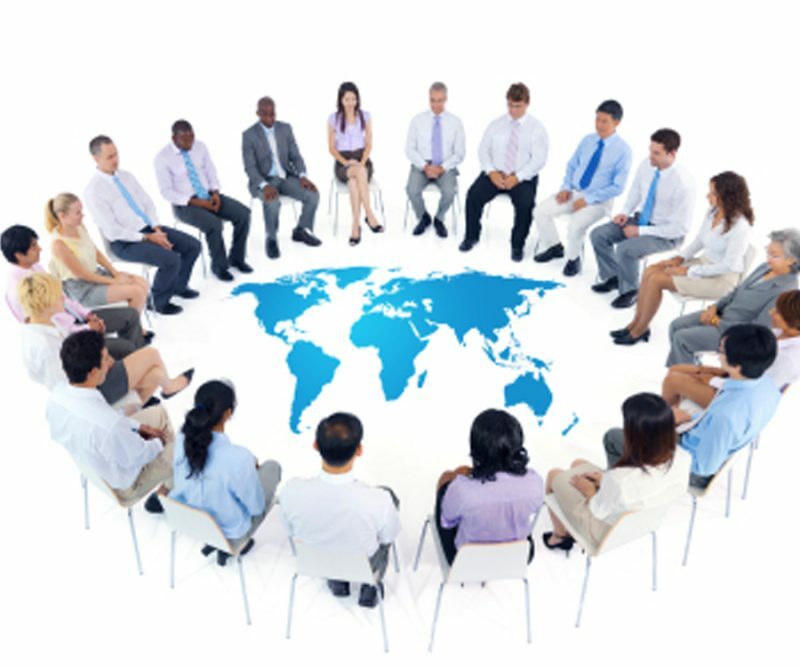 Treat global colleagues as you would those sitting next to you – with courtesy and friendliness. When in doubt, pick up the phone and talk to your colleagues at a mutually convenient time, or use instant messenger for a quick chat. Then you can follow up by email once both parties are ‘on the same page’. Of course, a ‘mutually-convenient time’ can be a challenge for some global teams! I would argue that on most global conference calls you will find at least one person who would rather be in bed. One of my Japanese clients, for example, is almost permanently exhausted by his bi-weekly 2am team call. Everyone else on the team didn’t think it was a problem because he has never complained about it, whereas in reality he was simply being polite – as is the cultural norm in Japan. It’s common sense. Think about something fun you like doing with a friend, like swimming. Now consider the only time your friend invites you to swim is at 2am, after they get home from their night shift. Would you look forward to a 2:00am swim? Even if you like swimming, this would likely NOT be appealing. It’s even worse when it’s a business meeting that’s keeping you from a good night’s sleep. When working across multiple time zones, it’s important to choose meeting times that work for everyone – not just your own schedule. At the very least, schedule meetings at different times so everyone shares the inconvenience. Finally, try to create an opportunity to replicate those small interactions that happen all the time between colleagues who sit in the same office. They are the glue that bonds individuals and turns them into teams. A client of mine works for a Chinese/US firm, with teams from both countries supporting the same major Korean customer. On conference calls with the customer the US team frequently finds it hard to understand business terms used and points made by the Korean customer. The team use a private chat facility, during the call, to quickly discuss or explain points to each other and compare notes. This enables them to acknowledge shared challenges and present a more effective and united position to their shared customer. Take advantage of what’s out there: Good communications technology no longer comes with a high price tag. In fact, many platforms are free. Talk to your systems team and find out what options your company has already that could assist your global team. If not – try Google. Be flexible and considerate: As a good colleague of mine – who is based in Houston and has team members in Dubai and Afghanistan – puts it: “I start my day as my team ends theirs.” As a global team leader, it’s not possible to create effective team communication without a little give or take on time management. Encourage different modes of communication: Choose the right ones for each job. People have a variety of preferences in terms of how they receive and share information. A sound principle for all communication, not just in relation to global teams, is to use different methods to get your point across encompassing text, video, and voice options. Create an informal mode of communication to encourage ‘chat’: Instant messenger is widely available and a standard feature on most information management applications. In fact, it is actively encouraged by many firms as a fast and easy way of swapping messages between colleagues. Make sharing part of the culture: There are a host of file sharing tools out there which allow teams to document technical processes and procedures and share resources and information. These tools also enable global companies to maintain consistency, reduce duplicated effort, and ensure quality control across their various countries of operation. Building a strong virtual team is one of those occasions when businesses can learn much from social media. Building communities, sharing files and bridging geography and time zones is what the likes of LinkedIn, Instagram, Twitter, and Facebook do best. Yet global business has been relatively slow to adopt and adapt social media for its own uses, even when the technology has been available. By activating some simple and cost effective to use tools I have seen how easy it can be to create a virtual water cooler, replicating the important moments that we take for granted in face-to-face communication and, in doing so, building rapport and understanding between people who live and work in opposite corners of the world. Maya Hu-Chan is C-Suite Coach with Executive Development Associates, in addition to an international management consultant, executive coach, and author. In 2013 she was rated one of the World’s Top 8 Global Solutions Thinkers by Thinkers50, and one of the World’s Top 30 Leadership Gurus. Harvard Business School has chosen her book Global Leadership: The Next Generation to be one of their Working Knowledge recommended books. She is also a contributing author to 10 leadership and management books.